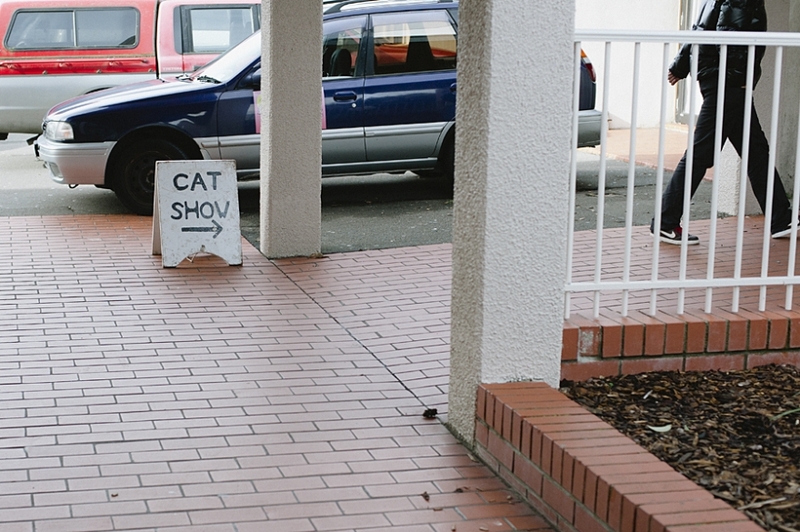 This weekend I dragged my long suffering husband along to the Wellington Cat Club show. He secretly enjoyed it. I loved it! There were so many cats there! 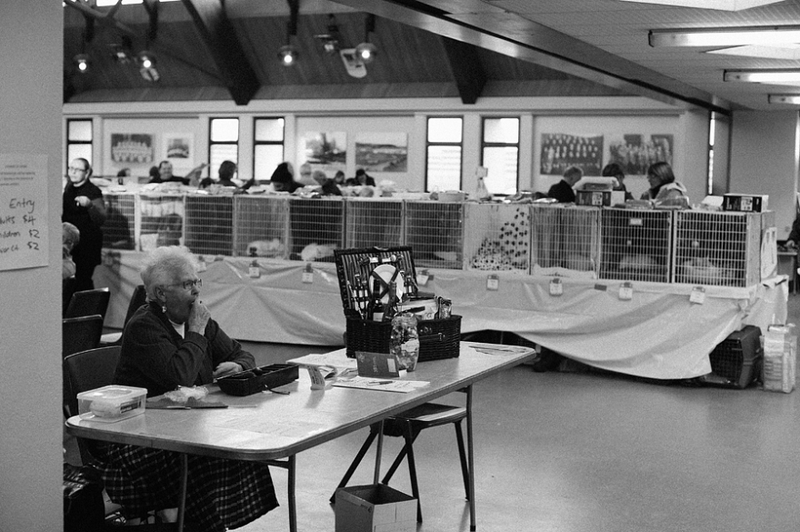 A slightly obscure event like a cat show always brings a wealth of photographic potential for a documentary style photographer. 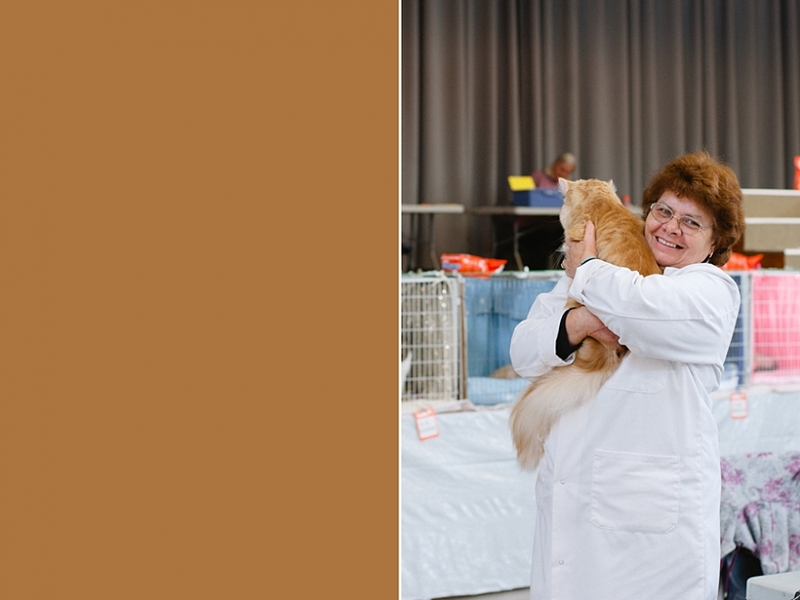 After developing an unhealthy obsession with that awful show “Toddlers and Tiaras“, and harboring a lifelong passion for all things cat, the cat show seemed like the perfect way to combine three (or four if you count the husband) of my favourite things. I was also excited, and vaguely repulsed to see and photograph my first real live Sphynx, which is pretty much the weirdest looking creature I’ve clamped eyes on since I saw this. There were of course some odd cat-people in attendance, but after being sorely tempted to buy my own ‘cats are special friends’ t-shirt, I can’t really throw stones. I love cats. I won’t deny it. They’re cute, and furry and they keep me warm on cold days. To get unnecessarily honest on it, I claim to be joking about the whole “I’m turning into a cat-lady” thing, but realistically, where does one draw the line? I’m blogging photos of cats from my weekend spent with cats, whilst in my PJs at 3pm with two large purring cats on my lap and to my right. I refer to myself as ‘mummy’ when asking my cats questions (eg. “you gona give mummy a cuddle?”) When I do leave the house, and talk to other humans, I almost always manage to turn the conversation around to a cat-based subject. If there is a heaven, and it comes pre-made to your own subconscious specifications, I’m pretty sure mine will be full of kittens. I’m not 80. I’m not single and lonely. I (am pretty sure I ) don’t smell like cats. And by all means draw your own conclusions here, but despite these mitigating factors, I’m just going to put it out there: I think I might be a cat lady. To tell you the truth, I’m ok with that. At least I’m not (god forbid) a dog-person. This one was my FAVOURITE. Isn’t he insanely pretty? !